Of the three Lockwell sisters—romantic Lily, prophetic Rose, and studious Ivy—all agree that it’s the eldest, the book-loving Ivy, who has held the family together ever since their father’s retreat into his silent vigil in the library upstairs. Everyone blames Mr. Lockwell’s malady on his magkical studies, but Ivy alone still believes—both in magick, and in its power to bring her father back. But there are others in the world who believe in magick as well. Over the years Ivy has glimpsed them—the strangers in black topcoats and hats who appear at the door, strangers of whom their mother will never speak. Ivy once thought them secret benefactors, but now she’s not so certain. After tragedy strikes, Ivy takes a job with the reclusive Mr. Quent in a desperate effort to preserve her family. It’s only then that she discovers the fate she shares with a jaded young nobleman named Dashton Rafferdy, his ambitious friend Eldyn Garritt, and a secret web of highwaymen, revolutionaries, illusionists, and spies who populate the island nation of Altania. For there is far more to Altania than meets the eye, and more to magick than mere fashion. And in the act of saving her father, Ivy will determine whether the world faces a new dawn—or an everlasting night…. 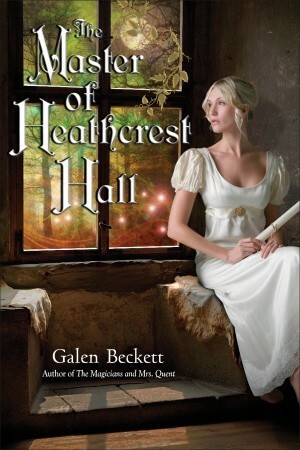 “A charming and mannered fantasy confection with a darker core of gothic romance” is how New York Times bestselling author Robin Hobb described Galen Beckett’s marvelous series opener, The Magicians and Mrs. Quent. Now Beckett returns to this world of dazzling magick and refined manners, where one extraordinary woman’s choice will put the fate of a nation—and all she cherishes—into precarious balance. Her courage saved the country of Altania and earned the love of a hero of the realm. 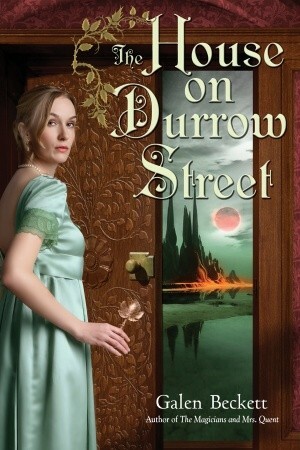 Now sensible Ivy Quent wants only to turn her father’s sprawling, mysterious house into a proper home. But soon she is swept into fashionable society’s highest circles of power—a world that is vital to her family’s future but replete with perilous temptations. Even as her husband is about to attain undreamed-of power, Ivy Quent fears for her family’s safety. With war looming and turmoil sweeping the nation of Altania, Ivy finds the long-abandoned manor on the moors a temporary haven. But nowhere is really safe from the treachery that threatens all the Quents have risked to achieve. And an even greater peril is stirring deep within the countryside’s beautiful green estates. As Ivy dares an alliance with a brilliant illusionist and a dangerous lord, she races to master her forbidden talents and unravel the terrible truth at the heart of her land’s unrest—even as a triumphant, inhuman darkness rises to claim Altania eternally for its own. Absolutely loved the Quent books. Will there be a fourth? Please say there will! I’m so glad you enjoyed the books, Sonia! These characters and this world all mean a great deal to me. That said, there are no plans for any more books in the series. But just because I won’t be writing more Mrs. Quent novels doesn’t mean Ivy’s own story won’t go on. I really feel like she has a life of her own, now that she’s met so many other people. Her tale will continue–and hopefully not just in my thoughts, but in others. Hi my name is Rodney i love the Quent series and i hope Eldyn and Dercy will be back as well i loved there characters as well Mr Rafferdy. I don’t suppose you have a map of Altania or or at least of the Grand City of Invarel??? Can you tell me if there are any maps related to this series? I’d love to be able to look around and se where some of these landmarks are in relation to each other. Like where the Durrow Street house is relative to the illusionist’s theaters (which is spposedly at the east end of Durrow Street) or the churche(s) where Eldyn and his sister put in their time. Is it possible to make the series available on ebook? 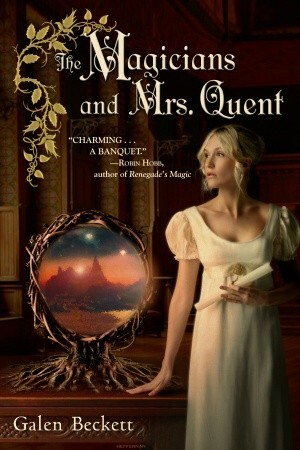 I just discovered the Mrs Quent books in our local library and I was enthralled. The characters are all so detailed and interesting and you have them interact in so many ways. On my next trip I’ll look for your novels under your other name. Thanks for new and exciting reading material!